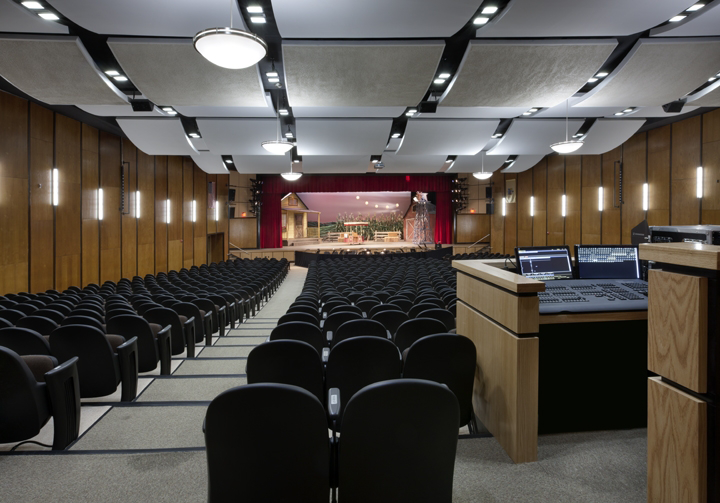 As Summit’s Architect-of-Record EI Associates recently completed a comprehensive renovation of the existing High School Auditorium. 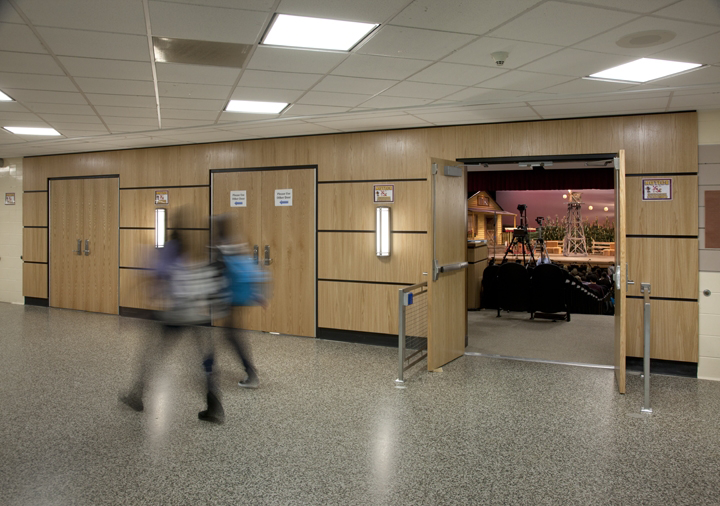 Originally constructed in the late 1950’s, the High School Auditorium was in need of upgrade. 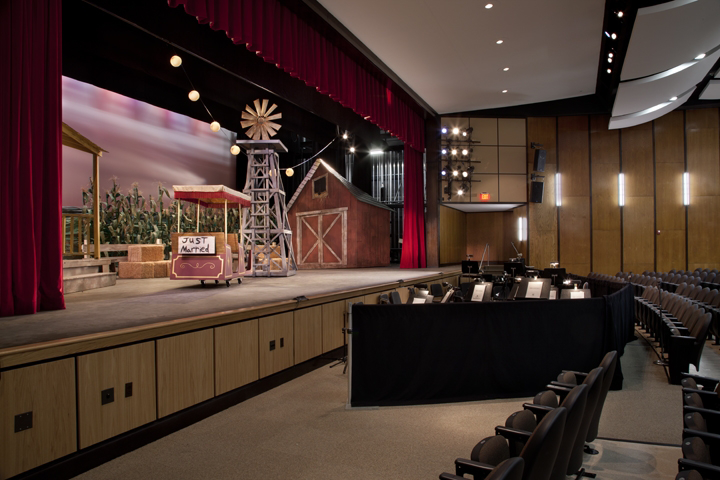 The project included the design of a new floating “cloud” ceiling system to improve acoustics as well as new stage flooring, curtains and a Brickhouse rigging system. Existing wood paneling was refinished and new flooring installed. 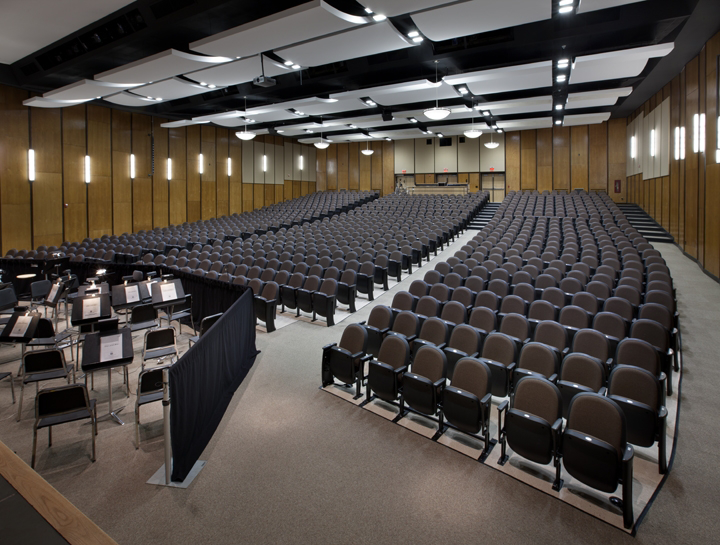 New auditorium seating was designed to accommodate 900 people and address ADA guidelines. In addition, the Auditorium required modernization of the electrical systems including new lighting systems and controls. New general area lighting, stage lighting, aisle lighting and decorative pendant and wall sconce fixtures were installed to improve illumination and aesthetics. During performances, audio-visual and lighting systems are now all controlled from a new AV control booth area custom designed by EI.